In primary care, fee-for-services (FFS) tariffs are often based on political negotiation rather than costing systems. The potential for comprehensive measures of patient morbidity to explain variation in negotiated FFS expenditures has not previously been examined. To examine the relative explanatory power of morbidity measures and related general practice (GP) clinic characteristics in explaining variation in politically negotiated FFS expenditures. We applied a multilevel approach to consider factors that explain FFS expenditures among patients and GP clinics. We used patient morbidity characteristics such as diagnostic markers, multimorbidity casemix adjustment based on resource utilisation bands (RUB) and related GP clinic characteristics for the year 2010. Our sample included 139,527 patients visiting GP clinics. Out of the individual expenditures, 31.6 % were explained by age, gender and RUB, and around 18 % were explained by RUB. Expenditures increased progressively with the degree of resource use (RUB0–RUB5). Adding more patient-specific morbidity measures increased the explanatory power to 44 %; 3.8–9.4 % of the variation in expenditures was related to the GP clinic in which the patient was treated. Morbidity measures were significant patient-related FFS expenditure drivers. 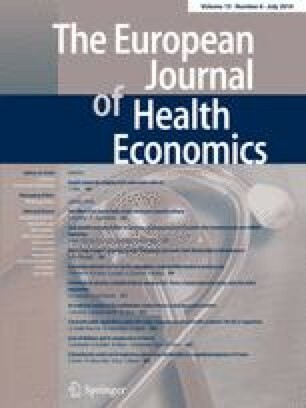 The association between FFS expenditure and morbidity burden appears to be at the same level as similar studies in the hospital sector, where fees are based on average costing. However, our results indicate that there may be room for improvement of the association between politically negotiated FFS expenditures and morbidity in primary care. We are grateful for comments from two anonymous referees and from participants at the Nordic Health Economist’s Study Group Meeting, NHSG2012, Kuopio, Finland and the PCSI 2012 Avignon 28th Patient Classification System International Conference.